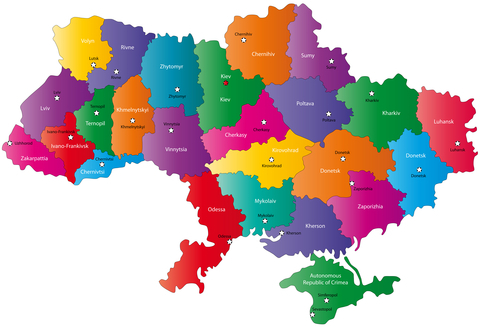 Ukraine’s visa information can be a bit confusing, especially with respect to residence and work permits. There are lots of different types of visas for the Ukraine, but you can pretty much sum everything up into three (3) categories: transit visas (VB), short term visas (VC), and long term visas (VC). Don’t worry about the two letter acronyms. It is just a government-based identifier for the type of visa. I am going to split out Tourist/Business Visas, Student Visas and Work/Residency Permit information in my categories above. If you want to get an extension on your visa, you are going to need to get in touch with the local office of the Ukraine State Department of Citizenship, Immigration, and Registration (officially VGIFRO, but still referred to almost universally by its old acronym, “OVIR”) at least three days before your initial registration expires. The Ukraine Ministry of Foreign Affairs has an awesome website here. The United States Embassies and Consulates can be found here.